Idukki: Women’s Commission in Kerala on Monday registered a case against MLA S Rajendran for his derogatory remarks against Devikulam sub-collector Renu Raj. The Women’s Commission has taken up a suo moto case against the MLA for openly insulting the woman official. 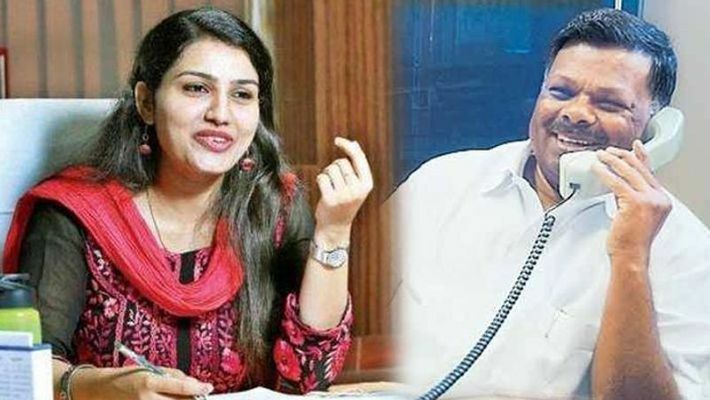 It is reported that CPI(M) MLA used abusive language against her when she, along with revenue officials, attempted to stop the illegal construction in Munnar. He said, “She doesn't have any brain. She studied only to become a collector. Such people will have only so much brain." The video of the incident had sparked controversy. Rajendran later apologised for the remarks. Meanwhile, Devikulam sub-collector Renu Raj has submitted a report to the revenue principal secretary V Veni and chief secretary Tom Jose against the MLA for his derogatory remarks against her. She also claimed that she was not allowed to do her duty. At the same time, Renu Raj handed over the report to the Advocate General, which has to be submitted in the court in connection with the encroachment in Munnar panchayat. The sub collector's report mentioned that blocking illegal construction is a violation of court and that the construction should be viewed as contempt of court. There are also reports that the CPI(M) have sought an explanation from the MLA for insulting the sub-collector. CPI(M) district secretary KK Jayachandran informed that the party cannot accept misbehaviour and will examine if the MLA talked improperly. He also said that the party would not intervene in legal matters including encroachment of land. CPI district secretary KK Sivaraman also said that they cannot accept the act of supporting illegal construction. "The words used by the MLA was not appropriate for his position. He challenged the panchayat act," Sivaraman alleged. Rajendran had courted controversy in the past as well. Sub inspector (SI) KJ Varghese was transferred to Kattappana, Kerala, for registering a case against this MLA for trespassing into Munnar court and creating ruckus. Meanwhile, the party claimed that the transfer was not a punishment for this. Senior officials later explained that the transfer was given as per the request of the SI. Left leaders said that Varghese had demanded a transfer since he lives at Mundakkayam near Kattappana. However, people alleged that the transfer is a punishment for his action against the MLA, considering the fact that the transfer order was issued within 24 hours after this incident.